Benches and tables are good combination of sitting especially at somewhere outdoor like public parks, home gardens, farmhouse, home streets, restaurant outdoor areas etc. benches and tables are constructed in different stylish ways to provide people with comfortable sitting and accommodation for serving food as well. 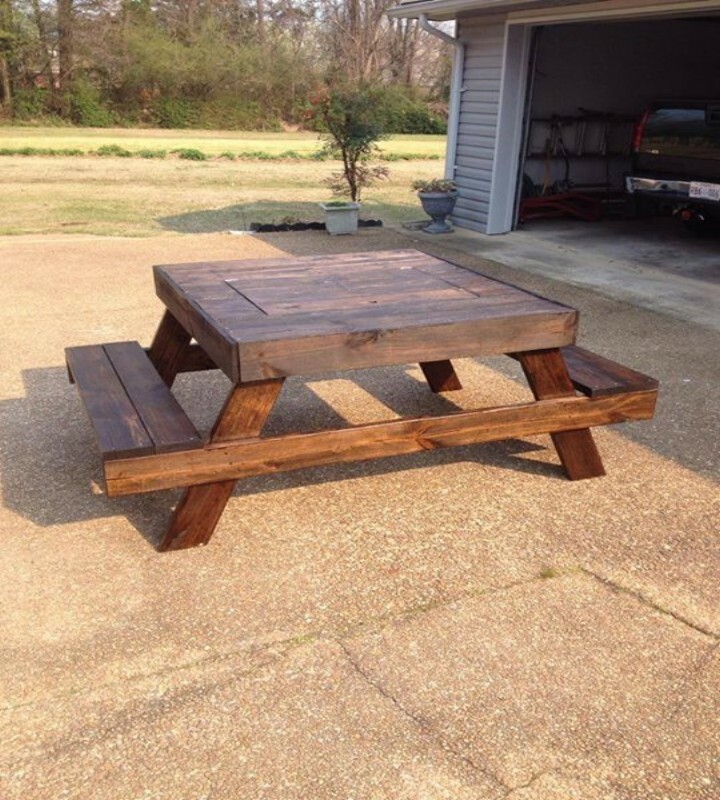 Pallets wood is found to be very good in constructing outdoor furniture like benches and tables. 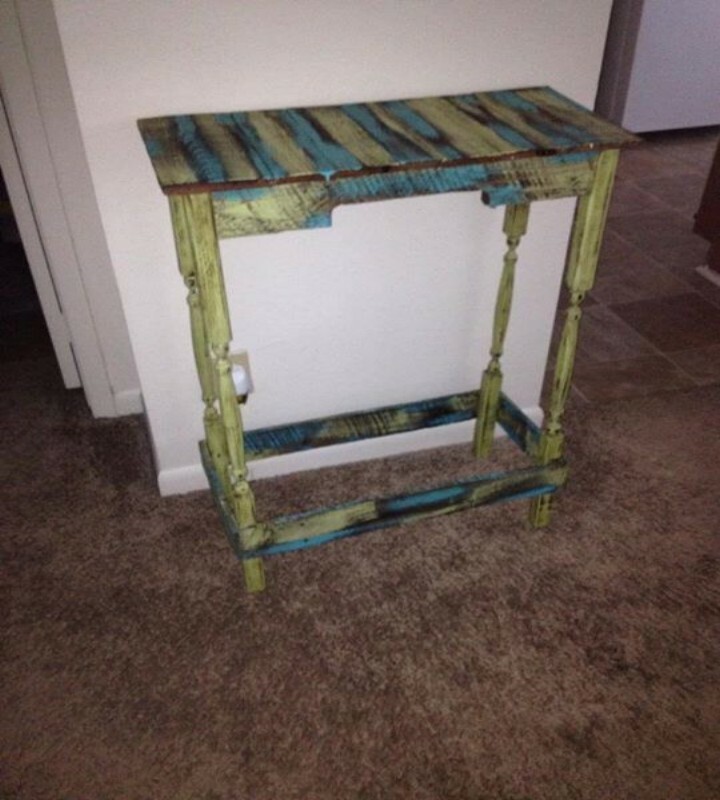 You can put stylish designs in construction with pallets recycled pieces as you can see in the picture given here. 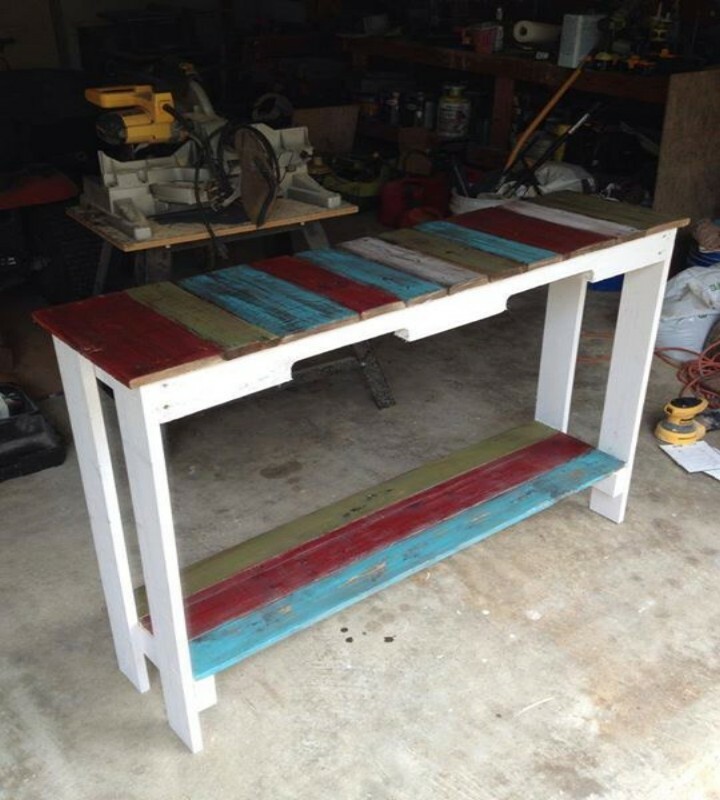 This pair of bench and table is constructed in colored form using pallets wood instead keeping it in rustic and natural look. 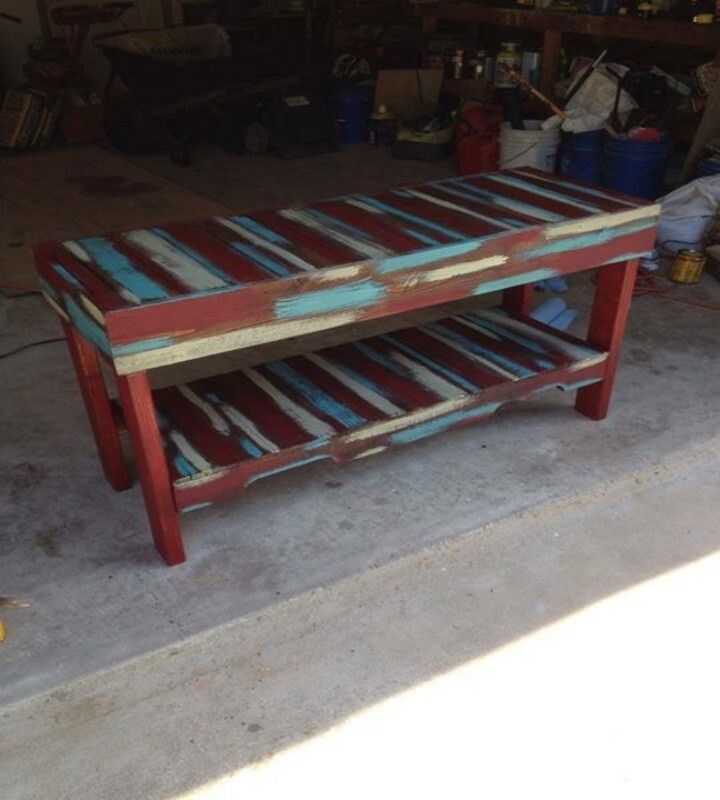 It may depend on your choice to give vibrant colors and paint stains to outdoor furniture. You can see this pair of bench and table can look attractive especially if it is placed at outdoor places. 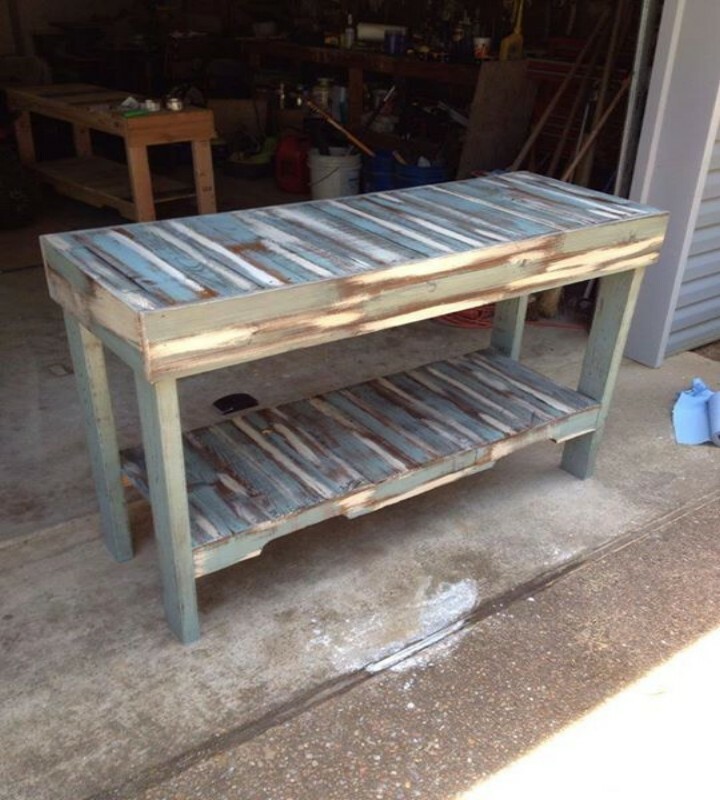 You can apply paint, varnish, furniture polish and other sorts of colors to make pallets furniture look more attractive and interesting. 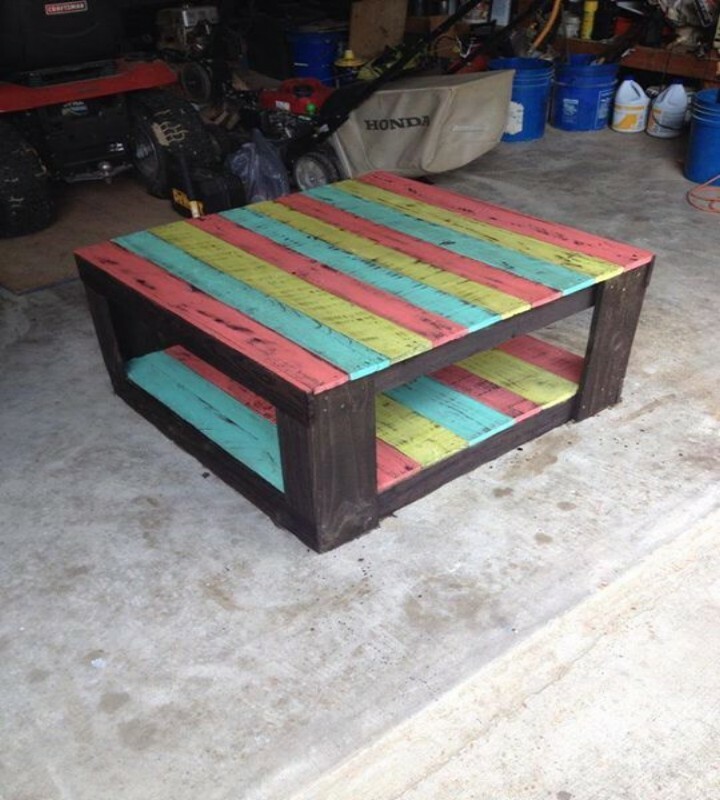 Pallets colored benches and tables can be more appropriate when have to use for kids. Kids always attract to interesting colors and vibrant look of items of their surroundings. 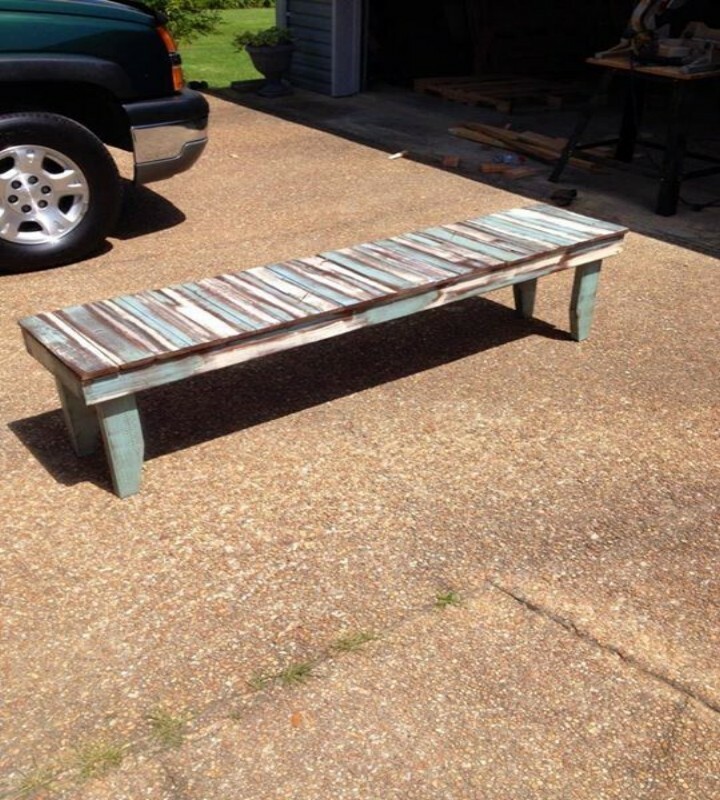 So you would be convenient to work with pallets wood to make pallets colored benches and tables.